The Stormbolt keeps out the snow and rain and ensures you stay within a reasonable budget. The REI Co-op Stormbolt GTX is a lot of jacket for your dollar, not only because of its low price but also due to its versatility. It's light enough to take as a rain shell on a backpacking trip, long and baggy enough to layer up and stay warm on the ski hill, and it breathes so you'll have some moisture management during steep hikes and ski tours. The Stormbolt is outperformed by the more expensive, specialized models in our review; there is no getting around that, but the adventurer on a tight budget will find the necessary protection from the wet and cold winter in the Stormbolt. If a lack of funds is what's keeping you from fresh tracks and backcountry powder, or even from staying dry while hiking in the southeast, the Stormbolt could be your ticket to comfort. This jacket is one of the lighter models in the hardshell category; only the Arc'teryx Alpha FL and Outdoor Research's Interstellar and Optimizer are lighter. Though waterproof thanks to a Goretex membrane, we don't feel the Stormbolt offers the best weather protection compared to other designs, and its features are functional, but not our favorite. However, it has some key features that the Interstellar lacks, potentially making it a better choice, depending on your needs. Like all the jackets in this category, the Stormbolt provides out-of-the-box waterproof weather protection. In our shower testing, we stayed dry. It has three adjustment cords, and provides ample coverage, with or without a helmet on. The brim on the hood isn't as firm as we'd like, and it folds very easily, allowing water to stream into your face until you grab the brim and pull it back into shape. The real test of weather protection isn't so much how a hardshell performs against the weather, but how it resists dirt, oil, bacon grease, and time. We hiked with the Stormbolt under a backpack to speed up the degradation of the DWR treatment, testing if it would wet out faster. The brim on the hood is a bit floppy, allowing some water to drip in during our shower testing. Other than that, the Stormbolt kept our testers dry under the relentless high-pressure showerhead. The Stormbolt is one of the lighter jackets we reviewed, weighing in at 13.9 oz. Most of this weight savings come from its 30 denier nylon face fabric, which is thinner and lighter than most of the competition. Even lighter jackets like the Arcteryx Alpha FL use heavier, i.e.,burlier, fabrics than the Stormbolt's. The obvious tradeoff is durability and weather protection once the DWR treatment has worn off if you're two weeks into your trip and knee deep in unavoidable filth. More expensive models with heavier fabrics keep the weight down with lighter weight components like waterproof zippers that don't need extra flaps and material to keep the moisture out. While you could buy a stuff sack and pack this jacket away relatively small (see photo below), it doesn't compress as small as the Arcteryx Alpha FL or the Outdoor Research Interstellar or the OR Optimizer. This jacket fits larger than many other hardshell models, offering good coverage and mobility. Our head tester stands at 5'10" and weighs 145 lbs; we'd say he's a bit on the scrawny side, and he felt this jacket has a baggy fit. The extra space does make it easy and comfortable to wear an insulating layer underneath this shell. It falls short in comparison to some models like The North Face Summit L5 Fuseform GTX, which has more articulated arms and shoulders, so the hemline doesn't ride up at all, even when your hands are over your head to grab climbing holds or swing ice tools. This jacket has a baggy fit, but it still rides up when you lift your arms up over your head, unlike model from The North Face and Patagonia, which have more articulation in the arms and shoulders. A three layer Goretex membrane on a less-than-$300 jacket is a welcome addition to the mix. REI doesn't have its own in-house membrane like Patagonia's H2No or Outdoor Research's AscentShell, so they need to construct a jacket that has to meet the standards of the W.L. 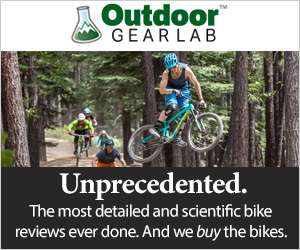 Gore company, while still striving for the price point we expect from REI. In terms of breathability, it performs better than the more expensive The North Face Summit L5 Fuseform GTX due to its thinner fabric. For ventilation, the Stormbolt has two pit zips with two-way zippers. Its two pockets aren't lined with mesh, so they don't offer any additional breathability. Easily accessible pit zips provide ventilation when you're slogging uphill. This jacket offers many of the same features found on more expensive models like the Patagonia Pluma and the Arc'teryx Beta AR, but with more limited functionality. For example, the Stormbolt has a 3-way adjustable hood to ensure that the hood fits snuggly and stays in place over a helmet or a bare head. While effective, you need both hands to operate the cinches on the collar and to loosen the cinch on the back of the hood; we had to fish around a bit in the flap that houses the cord lock to loosen the cord. The whole system is clunky compared to the Arc'teryx Alpha FL's, which has low profile cord locks optimized for one-handed operation. The pit zips are relatively easy to open and close. The front zipper in a one-way zip; we'd like the two-way zipper for better venting and easy access to a belay device if we're only wearing the jacket at belays. The hem cinch does a nice job sealing in the heat, but you'll need to be careful to tuck it up into the jacket so the slack doesn't get caught on anything. For folks on a tight budget, this is a suitable do-all hardshell. It will keep the rain off during backpacking trips, and keep you dry when you're skiing, at the resort or off-piste. The Stormbolt will keep the snow off and support the moisture flowing out when you're trudging up slopes on endless powder storm days. Be careful out there. A low price and overall versatility make this jacket a screamin' deal. The Gore-Tex Membrane makes it more breathable the average waterproof jacket, and while not "ultralight," it's not so heavy that you can't take it along on backpacking trips. The Stormbolt is outperformed by more expensive models; there's no doubt about it. The Arc'teryx Alpha FL is lighter with better weather protection and The North Face Summit L5 GTX will stand up against big wipeouts better thanks to its much more durable shell fabric. For the sub $300 price tag, the Stormbolt will at least keep you dry, inside and out.